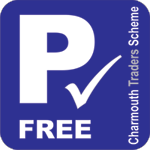 Charmouth Traders are pleased to announce the launch of the Charmouth Subsidised Parking Scheme. 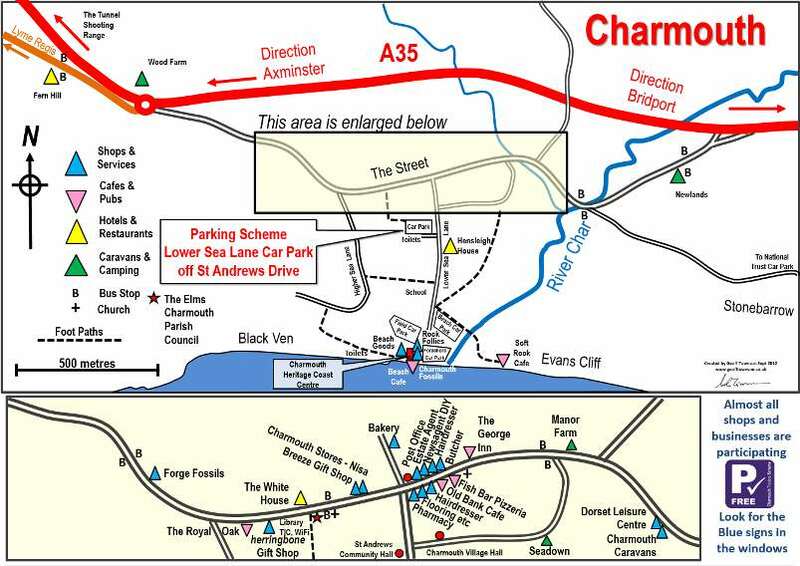 When you park in the Lower Sea Lane Car Park (not the beach car parks), you can get the value of one hours parking back when you spend £10* or more in any Charmouth outlet displaying the ‘P FREE‘ symbol. Most shops, pubs and cafes in Charmouth village centre are in the scheme and two hours gives plenty of time to find out what the shops have to offer and also to enjoy the food and drink. Charmouth can boast a family butcher, a bakery, a post office, newsagents and household goods, a well stocked Nisa store, pharmacy, two hairdressers, a fossil shop, a gift shop and an estate agents which are all open all the year round, as are the two pubs and several cafés. Come and be surprised at what Charmouth has to offer! *At participating outlets. Some outlets may exclude certain products.